Real estate in Denver has not only come back from the latest recession stronger than ever, but it has also found a way to thrive. The Denver real estate market is poised to benefit from appreciation for the foreseeable future. Denver real estate investing should continue to benefit from one major indicator, in particular: demand. Though nestled in the majestic Rocky Mountains, the Denver real estate market has had no problem at all exerting its dominance. If for nothing else, real estate in Denver has not only come back from the latest recession stronger than ever, but it has also found a way to thrive; it now finds itself at the forefront of a rather impressive real estate boom. As a result, Denver real estate has become the beneficiary of significant appreciation. In the last six years alone, the median home value in Denver increased somewhere in the neighborhood of 90%, according to the experts at Zillow. There’s no doubt about it: the Denver real estate market is in a much better place today than it was even just a few short years ago. As a result, opportunity abounds for savvy investors looking to capitalize on the fast paced market in the Rocky Mountains. Earlier this year, the powers that be at Zillow announced that they expect Denver to be the seventh “hottest” housing market in the country, citing important factors like rising home values and rental prices, low unemployment rates, steady income growth and strong job opportunities with lots of people moving to the area. What’s more, there’s no reason to believe their predictions won’t come true nearly one-quarter of the way into the year. According to Zillow’s Home Value Index, “the median home value in Denver is $407,100.” To get to where they are today, median home values have increased by as much as 8.9% in the last year. It is worth noting, however, that values are expected to continue appreciating for the foreseeable future. Forecasts suggest home values could jump an additional 4.6% in the coming year. That means median home values in the Denver real estate market could reach as high as $425,000 by this time next year. To be clear, median home values are just what you’d expect: the average value of a home in Denver. That said, those values are more or less arbitrary in a market as competitive as the one Denver is currently witnessing. In other words, competition in the Denver real estate market is allowing homeowners to list their properties for more than they are actually valued at. In fact, the median listing price in Denver is now $475,000, or approximately $67,900 more than the average home value. Due, in large part, to the latest wave of appreciation, not everyone can afford buying real estate in Denver. Those hampered by the latest round of appreciation may be forced to continue renting, which will cause rents to increase, too. As it currently stands, “the median rent price in Denver is $2,095,” according to Zillow. Not unlike their home value counterparts, Denver rents are expected to rise for the foreseeable future. The Denver real estate market has done quite well for itself in recent history, as is evidenced by the relatively low amount of foreclosures. Data provided by RealtyTrac suggests the Denver has somewhere in the neighborhood of 594 homes that are either currently in foreclosure or at risk of it. More specifically, however, there are nearly 600 homes that are either in pre-foreclosure, up for auction, or that have already been repossessed by the original lender. It is worth pointing out that each of these properties represents a unique opportunity for Denver real estate investors, as distressed homes tend to coincide with an attractive discount. According to RealtyTrac, “the median sales price of a foreclosure home was $277,950, or 14% lower than non-distressed home sales.” To put the potential for savings into perspective, savvy Denver real estate investors could save an average of nearly $47,000 if they choose to buy a distressed property. Distressed homes award buyers a great opportunity, which begs the question: Where can investors find these distressed properties? In the Denver real estate market, the answer is simple: auctions. The overwhelming majority of foreclosures in the Denver real estate market are up for auction, according to RealtyTrac. More specifically, 81.2% of the distressed homes in Denver are either up for auction, or are scheduled to be. 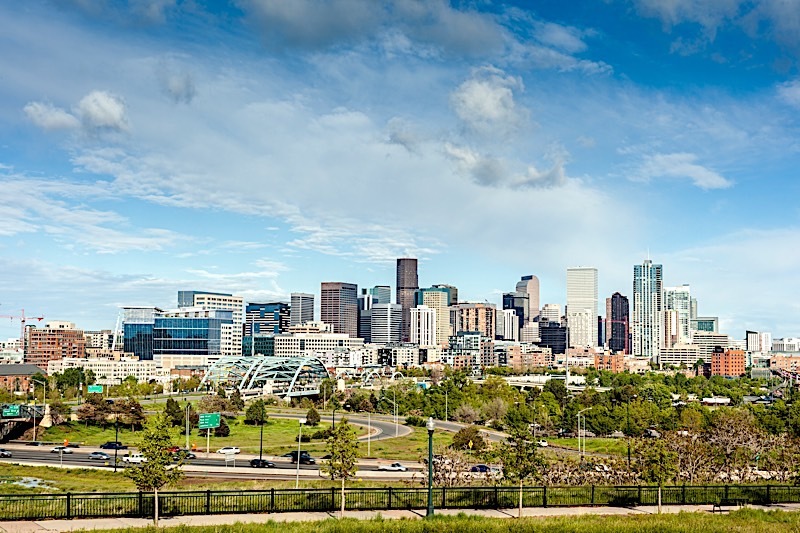 If you are intrigued by the prospects of Denver real estate investing, you could do a lot worse than looking into the distressed market; it may just provide you with the discount you need to get started if you know where to look. I said it before, and I’ll say it again: appreciation doesn’t look as if it’ll go away anytime soon. Median home values have already gone up as much as 8.9% in the last year alone, and if the experts at Zillow are right, they’ll continue to go up an additional 4.6% in the coming year. On top of median home values, it’s safe to assume rents will increase, too. As fewer people can afford to buy, the will be forced to rent, which will create more competition in the rental market. As a result, landlord will be able to increase prices in accordance with supply and demand. Rising prices and rents are most likely the result of an inherent lack of inventory, not unlike the same phenomena the rest of the country is facing. You see, there simply aren’t enough homes to keep up with demand, which has created a large amount of competition — competition that has allowed homeowners to ask for more, and will continue to allow them to ask for more until something is done about the inventory shortage. I wouldn’t be surprised if home prices continue to rise beyond the already forecasted year, as Denver appears to have become a hotbed of activity. The city will most likely continue to see more people move to it, and for good reason: it’s slowly becoming a tech hub. “The tech industry continues to roar, attracting thousands of new residents per year to tech-dominant markets like Seattle, Denver and the Bay Area. The higher cost of living in these areas is offset to a large degree by well-paying tech jobs,” said Aaron Terrazas, Zillow senior economist. The Denver real estate market, much like the rest of the country, has been the beneficiary of several years of appreciation. Median home values have increased year over year since 2012, and experts are convinced the trend will be supported for at least another year thanks to the increasing tech industry influence. However, investors should take solace in the fact that demand remains incredibly high, and should stay that way for the foreseeable future.